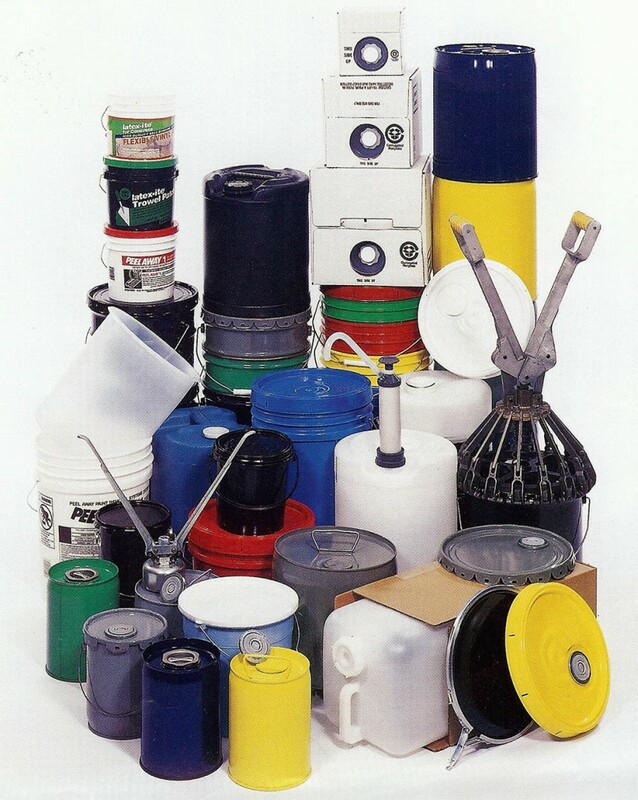 We stock pails, drums, jerrican, plugs, bung, crimpers, pumps, cubitainers, carboys, hedpaks, flexspouts, lug crimpers, flexspout, crimpers, spouted covers, pail liners, ice cream buckets. You can view more details under plastic pails and steel pails. Among the items pictured here are plastic pails, printed plastic pails, spouted covers, ice cream buckets, cubitainers, drum pumps, pail liners, flexspout crimpers, lug cover crimpers, pail pumps, 5 gallon jugs and lever lock rings with dish covers. What is a Steel Pail Lug Cover?